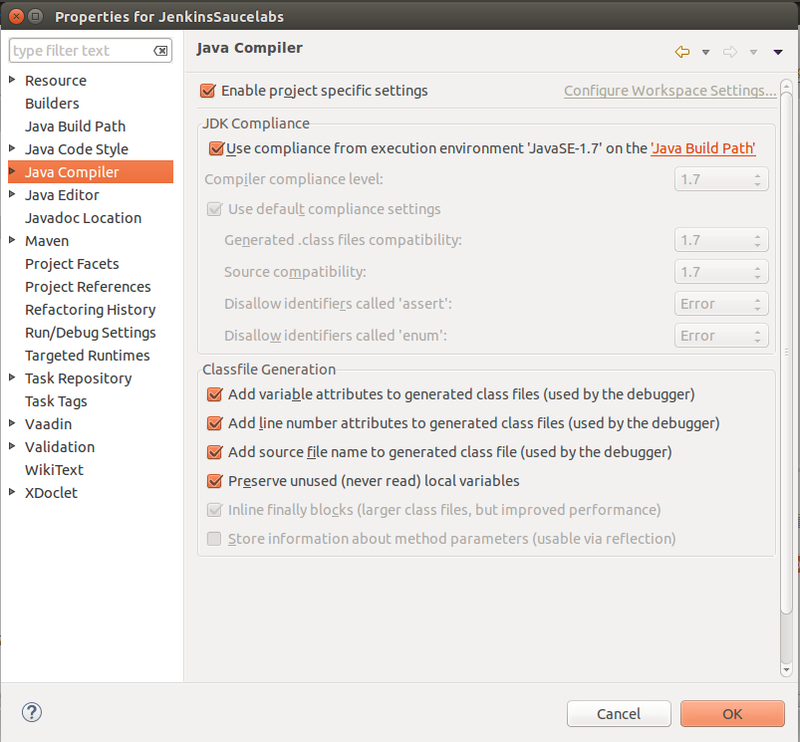 I did the downgrade of java 8 to java 7 and I am unable to run my project. Why am I receiving an UnsupportedClassVersionError exception with Unsupported major.minor version 52.0? Where am I wrong? You are running your application with the incorrect version of java, or some of the dependencies you are using are compiled for java 8. 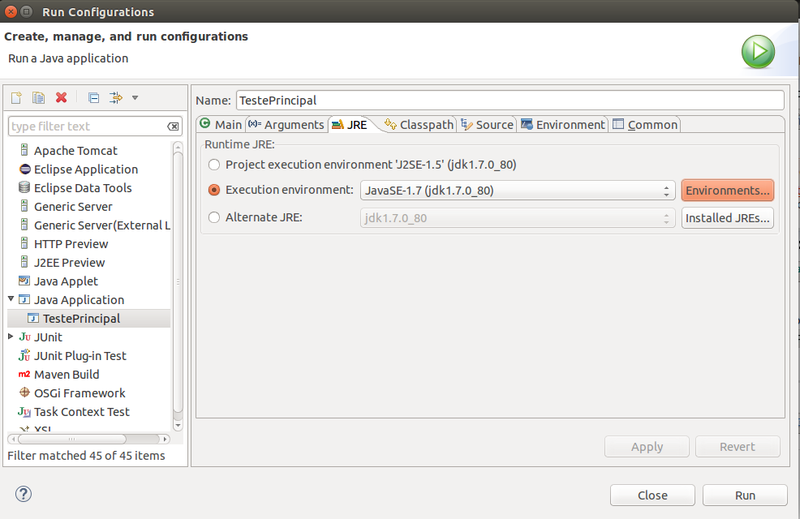 Check that your JAVA_HOME is pointing to the correct java installation and that Eclipse truely uses Java 7. 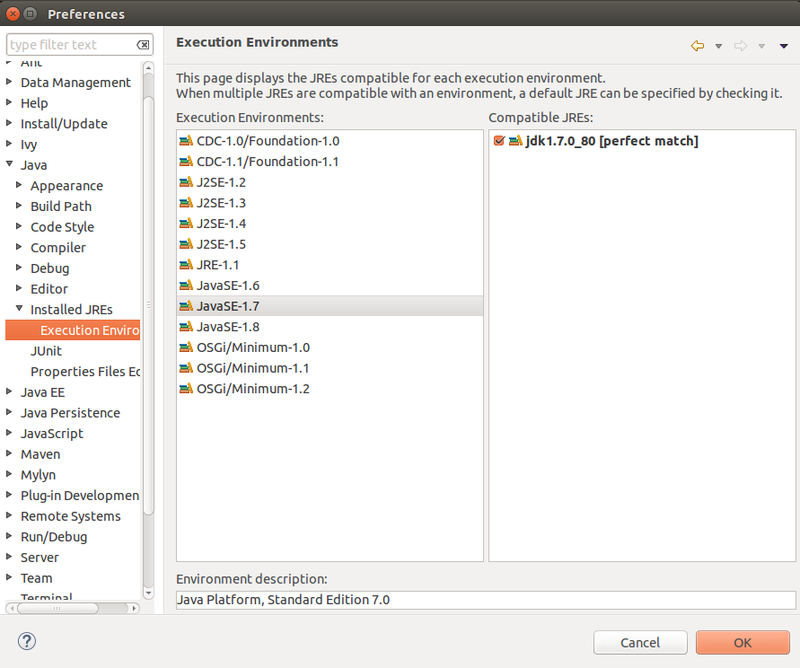 After you changed the Java version being used in the POM file, did you refresh the project's dependencies in Eclipse? 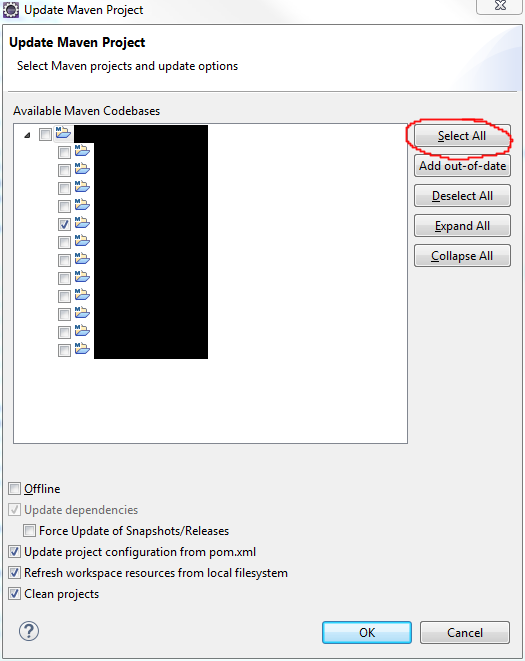 In Eclipse Luna (and possibly Eclipse Mars), this is done by pressing Alt-F5 or by right clicking a Maven project, choosing the Maven menu, then clicking the Update Projects button. All Maven projects in the current Eclipse workspace should be shown. In the above example, this is a parent project with multiple child projects. 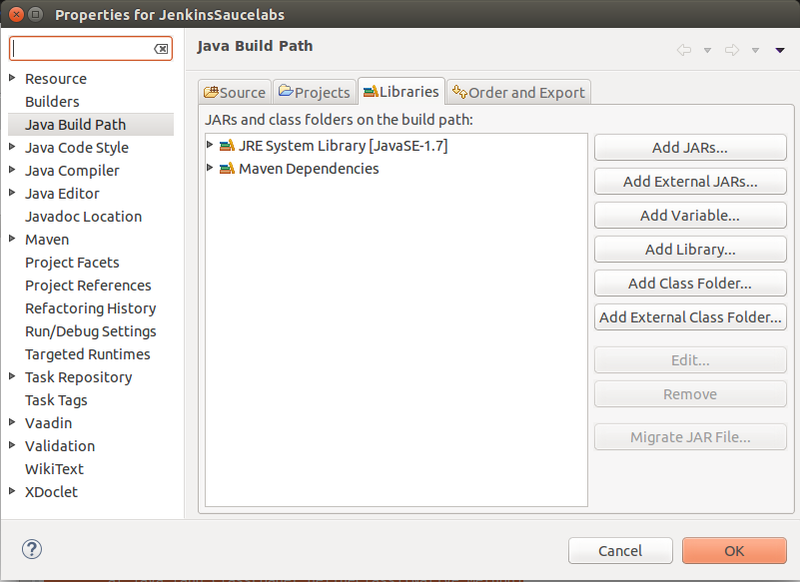 You should select all Maven projects in your workspace, then click OK. This should force Maven to refresh all the dependencies for the project... including the Java version Maven is attempting to use for the project. “Unsupported major.minor version 51.0” error in NetBeans?